Hey ya’ll, I’m reporting to you from afar. I’m gonna keep this short, ‘cus I’ve got to get ready to spend a week in the woods hiking, shooting, canoeing, and watching zombie movies. Mmmmm…Chopper Chicks in Zombie town. But I digress. Here is my Top 5 for this weekend. Enjoy ’em, since I can’t. 1. Aspen Mays explodes your brain with science! In her first solo show, Aspen is showing off all her art/science craziness. Aluminum foil spaceman, check. Fireflies in the camera, check. You won’t be disspointed. Opens Friday at Golden gallery, 7-10pm. 2. Geometry and mold spores at Thomas Robertello Gallery. This stuff just looks strange. The title is what caught me, the show is called “Taxonomies.” But with ceramic mold spores from Sarah Hicks and geometric paintings from Peter Barrett, it seems worth a look. Check it out Friday from 5-8pm. 3. The faculty has shown good taste at SAIC. 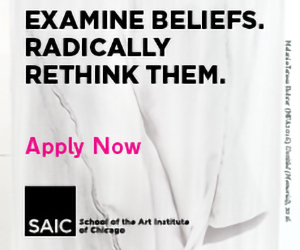 The faculty at SAIC has passed down their opinion on what’s good and what’s not. Surprisingly (well I was surprised), I mostly agree with them this time round. You can go see new work by Sarah Belknap, Joseph Belknap, Tif Bullard, Yu-Hang Huang, Merideth Lacina, Alison Rhoades, andIsabelle Schiltz at the Betty Rhymer for the Annual Faculty Exhibitions Committee Picks show (I don’t think this is the real title, or whether there is one, so I spliced this together. ) 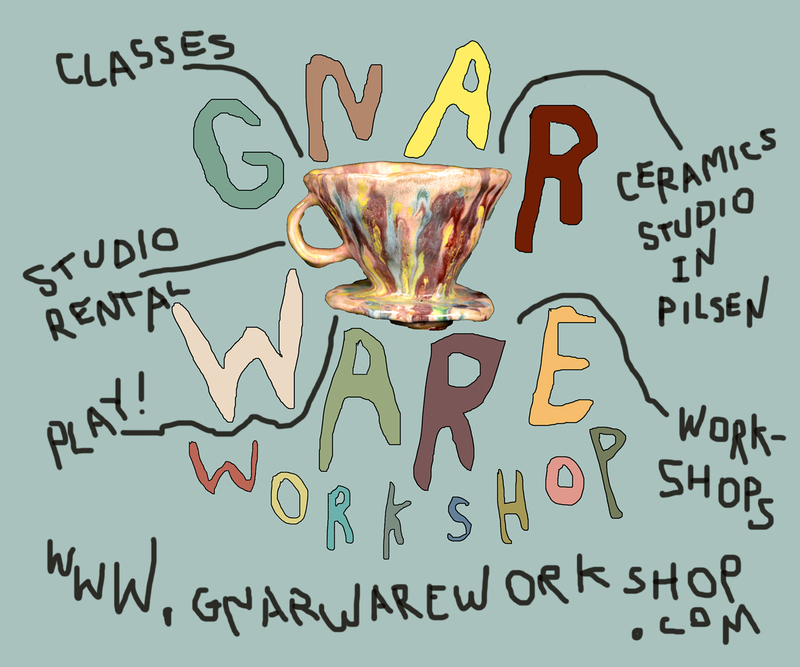 Opens Thursday from 4:30 to 7pm. 4. Artist dresses up as volcano, spends day reenacting Day in the Life of a Volcano. Do I actually need to say anything else? The afore mentioned peice (by Eliza Fernand) is part of Post Scarcity, a new show at 65Grand curated Thea Liberty Nichols. Opens Friday, from 7-10pm. The Second Bedroom that is. Anni Holm is doing an installation called Sleeping Around. If you’re in Bridgeport, head over Friday night. Sorry for the lack of pictures and links, the zombies are coming! Hey this is awesome, thanks.